The story going round was that you got the oil block through the connection of a former president’s wife. Is that true? God has told me I shouldn’t fight for myself. He said He will fight for me. My God has always fought for me. I believe there are some who say that , those who have drawn their own conclusion to suit what they would rather hear than believe that there is a God that actually opens doors, that there is a God who actually favors one, that there is a God who does not come down but will use any means to honor his children, to uplift his children, to promote his children. When they begin to know the God that I have known, they will stop saying such things. I will continue to give glory to God for what He has done for my family and it is not about anyone or person because I believe that if that were so, then she would have given oil blocks to all the people that were sewing for her. I was not the only one sewing for her, I was not the closest person to her. There are many people who are closer, they didn’t get oil blocks. I believe all this noise is all because I am a woman. There are other people who got oil blocs while they were in government who are not women and who are not being challenged. I don’t know what all the noise is all about. Only God can promote people, regardless of your gender or age. 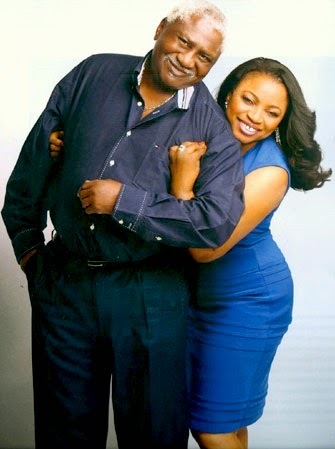 How come you don’t add “Dr” to your name, instead of just Mrs. Alakija? It’s all about my belief. I believe that an honorary doctorate or any honorary university degree does not really confer on me that title, since I did not study for it in university. So, I chose to leave that to those who actually went to university for such doctorate degrees. I’m filled with gladness and a lot of gratitude but I choose not to use it as a title. I don’t think life is about titles. I believe that life is more about who God is and how awesome He is. It’s not the title that makes you a person or makes you a man. It’s your legacy that makes you what you are and what you have been able to achieve. Titles belong to God. You always talked about making a covenant with God. What is this covenant you made with God that made you famous?When I came to Christ, I began to appreciate the awesomeness of God. I saw His presence, power and might suddenly in all the things around me to the extent that I started to appreciate flowers, animals and how He created human beings and things and how we use those things. I began to ask questions and appreciate that awesome power of God so much that I began to search the scriptures. I began to grow in the Lord, I began to get closer to Him, I began to develop a relationship with Him, I was looking for God everywhere. I had applied for an oil licence and we were facing so many challenges with the applications. We had applied for several blocks and it seemed we may not get the licence. It got to a stage that I didn’t know what God could do or couldn’t do, but I knew He could do everything but it just seemed it wasn’t coming through. It seemed that each time a minister of petroleum was changed, we needed to reapply and it seemed our application wasn’t getting any headway. Sometimes our faith waned and at that point I just decided that rather than throwing in the towel, rather than giving up, it will be better to make a covenant with God, because God never fails when you make a covenant with Him. I noticed that in the Bible, so I decided to take that challenge. I made a covenant with Him that if He blesses me, I will work for Him all the days of my life and that is what He has done. He has been extremely faithful. He is the one that made a way for us, and it wasn’t our doing at all. 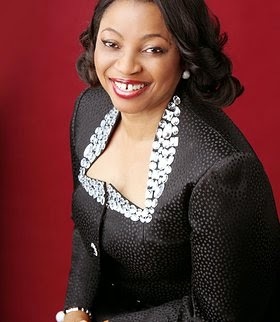 So many people want to be like Mrs. Alakija. Could you give them advice or tell them the secret of your success? What makes you tick?The secret of my success as I have told you over and over is that I got close to God. I realize and appreciated His presence in this world. I chose to partner with Him and He has been faithful. I am a workaholic but the only reason I don’t attribute the award of an oil block to hard work is because it’s a combination of several things. You can work hard all the days of your life and not get anywhere with it. So, it’s the grace of God and that is the most important part. I will continue to give him glory for it. You are above 60 years. What’s the secret of this your lovely figure? I can say that every year, if I sum up all the days that I exercise, they cannot be more than six weeks. It can’t be the exercise. I eat anything and at anytime of the day, so I know it can’t be dieting. I still go for massaging but not as often as I should, so I have drawn a conclusion in my heart that it can only be God’s grace. I enjoy God’s grace and when we pray, we have to believe this in our hearts. I constantly ask Him for strength in my inner being and He continues to give it to me. I can go on for hours working without looking back. My mother trained all her children to be able to work for several hours of the day and not even remembering to eat. It wasn’t because she wanted to starve us but she brought us up in such a way that we just had to learn to work hard. I do all the wrong things as far as losing weight and looking good is concerned . There is a song that says: "people dey ask me say, wetin dey make me fine, I just dey tell them say na Jesus dey make me fine”. I dey fine, I dey fine, I dey fine, I dey fine, I dey fine, fine fine, I just dey tell dem say, na Jesus dey make me fine."